RNR Rescue | Integrity. Honesty. Excellence. Safety. As professional rescuers, the founders of RNR Rescue have a passion for helping others and saving lives. With a deep-seeded belief, that if one has such skill and knowledge, that skill and knowledge should be shared and passed along. 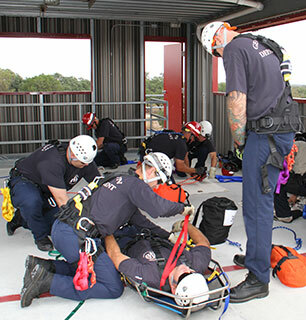 The professionals at RNR Rescue instruct with over 25,000 hours of classroom and instructional field time. Providing safety services with decades of experience behind them. Utilizing the latest and most innovative techniques available in the industry today. Saving lives is a driving passion. That drive, and the understanding that not every situation is by the book, is why RNR Rescue was founded; to provide professional training as well as safety services that are innovative, effective and above all, safe. All of our instructors and safety service members are employed based on that same shared passion, with many being long-term rescuers having put in many years of dedication of service in helping others and to saving lives.